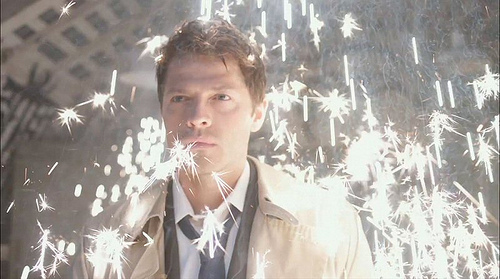 I totally agree that Cas's intro was awesome beyond awesomeness. I also loved Benny's introduction. The mystery and pain/glow in Dean's arm, digging up the bones and then the tension, breaking it with 'Brother'! Dean calling some (hot) guy 'brother' with a big grin is like the most slashy thing in the universe. And Benny was a complex, sympathetic and dark character, just the exactly right thing for Supernatural. And he was the type of brother that Dean would've been more comfortable with, like a dream team situation. Yeah, love it.